Benjamin Millepied is a choreographer, filmmaker, and former principal dancer with New York City Ballet . Born in Bordeaux, France, to a decathlete father and dancing mother. Mr. Millepied grew up in Senegal until age 5, which is when He began dancing. At age 11 he began his ballet training with Vladimir Skouratoff at the grand theatre de bordeaux. Mr Millepied attended the Conservatoire National superieur de Lyon where he studied with Marie-France Dieulevin and Michel Rahn, before traveling to New York City to attend the School of American Ballet to study with Stanley Williams and Adam Luders. While attending the school, mr Millepied toke part in a new ballet by Jerome Robbins titled “ 2 and 3 part inventions”. In 1995, Mr Millepied was invited to join the new york city ballet. He became a principal dancer in 2001. 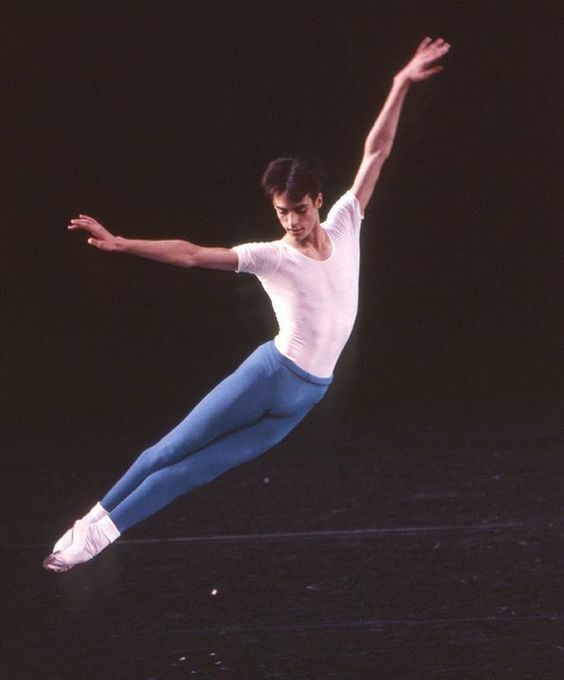 During his time with NYCB, he performed a vast repertoire of works by George Balanchine and Jerome Robbins and originated roles in ballets by Jerome Robbins, Alexei Ratmansky, Christopher Wheeldon, Mauro Bigonzetti, Angelin Preljoçaj, Peter Martins, among others. Mr. Millepied began choreographing during his time at NYCB, founding a pick-up troupe, Danses Concertantes, in 2002, with whom he periodically performed over eight years. He served as as choreographer-in-residence at The Baryshnikov Arts Center from 2006 to 2007 during which time he created the solo “Years Later” for Mikhail Baryshnikov. Millepied’s choreography has entered the repertories of major dance companies worldwide, including New york city ballet, Paris Opera Ballet, San Francisco Ballet, American Ballet Theatre, Berlin Staatsoper, Mariinsky Ballet, Pacific Northwest Ballet, Lyon Opera Ballet, among others. In 2010, Millepied’s choreography was featured in Darren Aronofsky’s award-winning film Black Swan, in which he also starred. Mr. Millepied moved to Los Angeles in 2012 to found his company L.A. Dance Project with Charles Fabius (LADP) which has since given hundreds of performances at prestigious venues around the world, as well as site-specific performances in eminent non-traditional venues. For LADP Mr Millepied has collaborated on new works with artists such as Mark Bradford, Christopher Wool, Barbara Kruger, Liam, Gillick, Rodarte, and Nico Muhly. LADP is a resident of the LUMA Foundation in Arles since 2017. In 2018, Mr Millepied opened 2245, a new home for rehearsals and performances for LADP in Los Angeles. This Fall at 2245, LADP will present a Festival of 9 new collaborative works commissioned by Millepied for LADP. In January 2013, the Paris Opera Ballet appointed Millepied as its new Director. While at the helm, Mr Millepied created a dance medicine program at Paris Opera, launched a digital stage, commissioned new works by William Forsythe, Jerome Bel, Wayne McGregor, Justin Peck, Crystal Pite, Tino Seghal, revived works by Anna T. Keersmaeker and Maguy Marin, and invited the Batscheva for the first time at the Opera. Mr Millepied resigned in 2016 to focus more fully on the development of LADP and to pursue his own work as a choreographer and filmmaker. A documentary about Millepied’s tenure at the Paris opera titled “reset” can be found on Amazon. Millepied has directed numerous short dance films in recent years and is currently working on his feature directorial debut, a musical adaptation of Carmen to be released in 2020. Mr Millepied’s choreography was recently featured in the final of “Vox Lux”, a film by Brady Corbit. Mr. Millepied is a past recipient of the prestigious “Bourse Lavoisier” scholarship from the French government, a winner of the Prix de Lausanne, a recipient of SAB’s Mae. L. Wien Award for Outstanding Promise, and a United States Artists Wynn Fellow in Dance. In 2010 he was made a Chevalier of the Order of Arts and Letters by the French Ministry of Culture.